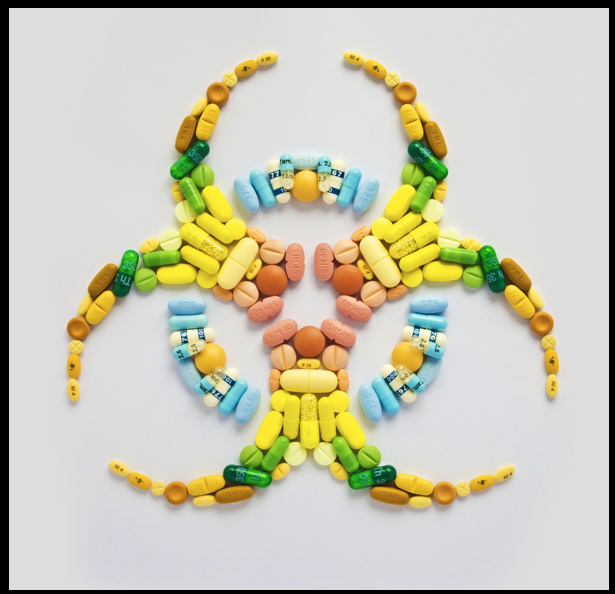 Almost immediately, I began to experience severe benzodiazepine withdrawal, a horrifying syndrome associated with stopping this class of medication. Nearly a year later, I still have symptoms, but my mind and body are definitely healing. Over the last few months my creative muse has reappeared, pulling me away from writing, away from my busy mind, which likes to think and dwell and ruminate. These days, my muse wants me to paint, which is cool because when I paint, I can turn off my mind and have fun getting messy with color. Truly, there are no words to express my gratitude to G-d for allowing me to find a creative outlet during this ordeal. Perhaps even more amazing is the fact that folks like and are willing to pay for my work. Since I was (and continue to be) too debilitated to hold down a traditional job, being able to earn money by doing something I love has been fantastic for my self-confidence. It is with great joy that I share my most recent piece with you. ROAR, an unframed 12″x24″ acrylic painting on canvas, is ready to ship. I’ll accept payment of $225 (+ shipping & handling) via PayPal. Leave a comment if you are interested in purchasing this piece, and I’ll contact you as soon as possible. I completed ROAR this morning. Because I’m coming back to life. And while I’m not quite ready to roar, I’m reconnecting with old friends and making new ones along the way, like Dorothy Gale did on her journey to Oz. I’m healing old wounds and learning to forgive myself and others. It still feels strange, the way I imagine those ruby slippers felt to Dorothy when they magically appeared on her feet. This painting thing is shocking like that. I didn’t choose to become an artist; the images simply reveal themselves to me in dreams and visions and I do my best to realize them with paint. And buttons. And ribbons. And texturizing medium. And other found items. 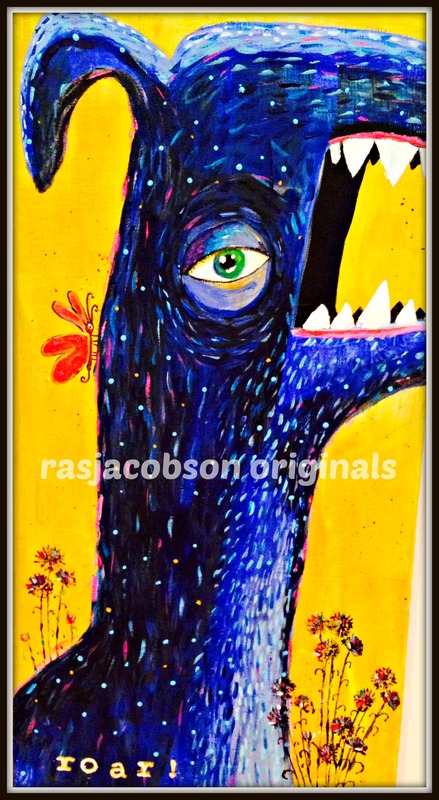 If you like what you see, follow me on my Facebook page, RASJacobson Originals. I post new work as it becomes available. These days, I’m doing things slowly and with great intention so I don’t become overwhelmed. Thank you for continuing to stick with me as I heal. What’s something you can do that no one (or very few people) know about? I wanna know! When Dorothy Gale of The Wizard of Oz started her journey down The Yellow Brick Road, she was terrified and, with the exception of Toto, completely alone. A girl whose life was turned upside down after an event that was completely out of her control, she didn’t yet know that the cyclone would bring unexpected gifts to her life. She didn’t know she’d make new friends and learn valuable lessons along the way; she was simply trying to survive. It was only later, when she felt safe and whole, that Dorothy was able to express gratitude to everyone who helped her as she limped along down life’s path. As I tap out this post, I’m far from feeling whole, but I’m feeling well enough so that I’m able to look back at the events of last 9 months with the tiniest bit of ever-emerging perspective. During the weeks I spent recuperating at my parents’ house last August, I paced the hall, occasionally stopping to look outside to the large picture window in their family room. It was summer – normally the season I love most – but during benzodiazepine withdrawal, I was unable to step outside to enjoy the sunshine for even a moment. One particularly difficult afternoon, my parents’ footsteps seemed especially loud. My father had the television on full blast, and when I tried to calm myself by taking a hot bath, my mother barged in on me as I laid naked in the tub. A few hours earlier, my mother and I had an uncomfortable exchange. She’d gone to the grocery store to buy a whole chicken and had made some homemade broth for me, which I tearfully refused. It wasn’t that I didn’t want what she had made – I did! I was starving! – but I simply couldn’t put anything in my mouth. I was sure that anything I ate was going to make my symptoms worse. When I tried to explain that I couldn’t eat the soup she’d made, my mother crossed her arms over her chest and gritted her teeth at me. “Well,” she growled, “You can make your own food if you don’t like what I make for you.” Yanking open the refrigerator door, she pushed me toward the open compartment. I stood weeping, trying to decide which foods wouldn’t taste like poison. Everything seemed dangerous. Standing in my mother’s kitchen, I panicked. Having already left my husband and son in hopes of finding a better place to heal, suddenly I felt I’d made a terrible mistake in coming to Syracuse. My parents did the best they could, but I needed more than they could give. Something inside me understood I needed more than a house with a roof over it in which to heal. I needed love and patience and kindness. I needed someone to murmur encouraging words and tell me I was going to be okay. Stepping into sweatpants, I put on my sunglasses and dared to walk across the street. As my bare feet touched the hot asphalt, I prayed to G-d the entire way, begging Him to let Gina be home. I’m pretty sure Gina could tell something was wrong with me right away, but maybe she couldn’t. I certainly believed that anyone who felt as crazy as I did simply had to look the part on the outside. Ever gracious, Gina pushed open the screen door and offered me a cup of tea. At that point, I was having weird fears and I confessed I was scared of tea. Without batting an eyelash, Gina offered hot water with lemon. My hand shook the entire time we talked. I told her what was going on, that I’d stopped taking an anti-anxiety medication and that I was afraid I was losing my mind. I told her about my crippling insomnia and scary dreams. Gina listened, remaining calm and reassuring. “Do you like massages?” she asked. Nodding, I looked at the lemon floating inside my teacup. Gina stood up, went into her kitchen, and opened a drawer. She copied a phone number on a tiny scrap of paper, which she handed to me. I stayed at Gina’s house for several hours that day and, again, the following day. Sitting in the safety of my old friend’s screen porch, the two of us beaded bracelets and talked quietly. Occasionally, we were joined by one of her cats or one of her children – but mostly, it was just the two of us. Eventually, despite the fact that I was inexplicably terrified of talking on the telephone, I screwed up enough courage to dial the number on the scrap of paper and make an appointment for a massage. 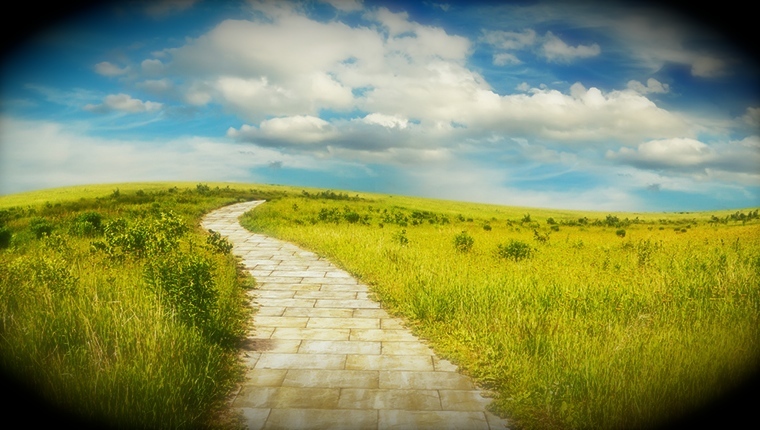 Looking back now, I realize that asking my parents for help set me on a path: my old personal Yellow Brick Road, if you will. Making the difficult decision to leave my immediate family to take care of myself brought me to Syracuse, which brought me to Gina, which ultimately brought me to the next part of my journey, where I made another decision which saved my life. At the time, I didn’t know I was on a journey. I simply thought I was alone in Hell. What I see now is that I was never alone, for when we ask for help, the Universe always delivers a response. What is a difficult personal challenge you’ve survived? The story features young, adventurous Mickey who stirs from his bed and embarks on a strange adventure. Young Mickey is thrown into cake batter, flies across the sky, and ends up right where he started — safe in his own bed. I always thought fancied myself to be like Mickey: brave and curious, eager for new experiences and unafraid of where they might lead. But during acute withdrawal, the world was filled with monsters. Where I once appreciated Sendak’s idea of an ever-changing landscape over which one had no control, suddenly that lack of control wasn’t fun at all. One of the monsters I battled was insomnia. Not only was I terrorized while I was awake, but I couldn’t escape my demons even when I closed my eyes. If I was lucky enough to fall asleep, I experienced horrifying vivid nightmares, causing me to jolt awake, my heart pounding in my chest. Click HERE to see more amazing art by Morgan Huneycutt @behance.com. A fat, yellow caterpillar with a woman’s face writhes in a thick puddle of mucous in the middle of a dark room. The creature wears a blonde wig perched crookedly on its head. I open my mouth to scream, but no sound comes out. I try to run, but the stuff on the floor is sticky, so I cannot move. The caterpillar-woman gurgles as she moves in my direction. Her mouth is no longer a mouth; it is a dark swirling cavity. I am surprised when she stabs me, since I hadn’t noticed her huge spiny bristle filled with some kind of clear fluid. Feeling my flesh burn, I realize I’ve been poisoned and, as my clothes melt into my skin, I can do nothing but wait for the creature to devour me. You know how you feel when you wake up after having a single nightmare? That disoriented, terrified moment when all you want is to hold onto something solid. That moment where you look for reassurance from a person sleeping next to you? That night, I recounted 9 separate nightmares. I read about a man with pointy teeth whose fingers turned into knives. About dark, swirling water: the place my son drowned while buckled in his infant carrier. I read about fires and hurricanes and war and plagues and famines. Each nightmare was darker and more catastrophic than the one that preceded it. Even scarier? I barely remembered writing about them. I spoke with my therapist many times while I stayed at my parents’ house, and she reassured me that I was on the path to healing, that my neural pathways had to learn basic things — even things like sleep — again after having been dulled for 7 years. That my healing would take time. She was encouraging, and I was prepared to wait it out. But after nearly 3 weeks of little to no quality sleep, the exhaustion was killing me. Though I was terrified with the idea of taking any medication to help me rest, my parents convinced me to try some of the pills my doctor had prescribed. That night, I had a rare paradoxical experience. Much like the horror in many of my nightmares, I experienced a kind of “locked-in” syndrome, where I was completely awake and yet utterly unable to move or scream. On the outside, my body was still; on the inside, I writhed and buzzed with electricity. When the effects of the medication wore off the next day, I wandered into the kitchen to find my parents. My father greeted my brightly. “Did you sleep last night?” he asked. What monsters have you been battling recently? Part III of my account regarding my struggle to survive after weaning off clonazepam, a powerful anti-anxiety medication. To read Part I, click HERE. To read part II, click HERE. When it became apparent that I couldn’t take care of my most basic needs, I called my parents and begged them to allow me to heal at their house, sixty miles away from my husband and son. They agreed, none of us imagining the mess we were getting into. On the ride to my parents’ house, I laid flat on the backseat, crying and shivering and praying. While they talked quietly in the front of the car, I felt every bump. Every swerve. Squeezing my eyes shut, I braced myself for the wreck. My brain — off the anti-anxiety medication and in acute withdrawal — perceived everything as a threat. I was certain I was going to die on the ride to Syracuse, and I braced myself for the car accident that I knew would end my life. I wept with relief when my father pulled into the familiar rectangular driveway. Returning to my childhood home, I saw little had changed since I’d left over 25 years earlier: the house was truly a time capsule. The exterior was still painted gray with white trim. The bushes – always lumpy and overgrown – had fused together to become lumpier and more unkempt. Inside, the living room featured the same gold couch; in the kitchen, the same green carpet — now splitting at the seams — sprawled before me. Faded curtains covered the windows and dusty figurines stood at attention on the shelves. During the first few days, my parents were happy to have me home. My mother ran to the store to buy me clothes, and she made me homemade chicken soup. My father rubbed my head, trying to get me to relax. But I was jacked up. Stuck in a fear state, my body shook uncontrollably all the time. Unable to sleep for more than an hour or two each day, I prowled around my parents’ house, like a crazed animal. Historically, sleep deprivation has been used as a form of torture during times of war. Going without sleep is intensely stressful — with unpredictable short and long-term effects. When I got to my parents’ house, I was already suffering from visual and auditory hallucinations, but things quickly got worse. Deprived of sleep, I lost the ability to act and think coherently. In the pink and green bedroom of my youth, I noticed tangled extension cords, into which my parents had plugged numerous gadgets — a clock, a fan, a cellphone, a television, a lamp, and stereo components — and I obsessed about dying in a fire that I was positive was going to occur as a result of the overtaxed electrical outlets. I worried that I would be trapped in my bedroom over the garage. The windows painted shut, I worried how I would escape when the fire started. My father tried to convince me I wasn’t going to die. One sleepless night, I roamed from room to room, upstairs to downstairs, until finally, I went outside to sit alone in the darkness. The air was thick and hot, and I was the only person outside. I wished for a forest or a desert – someplace I could disappear. 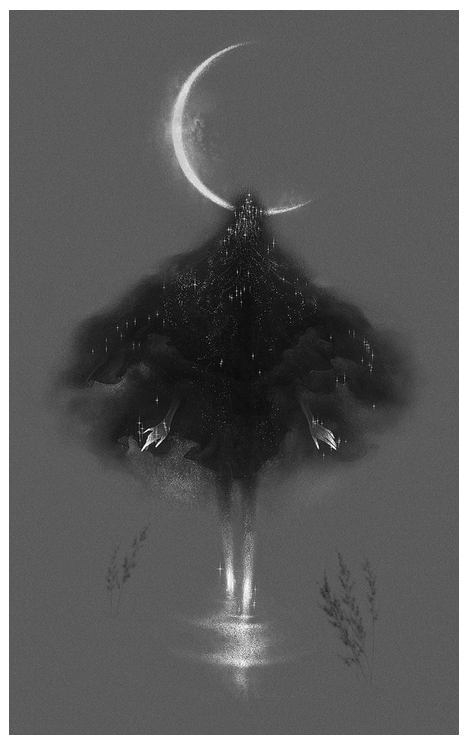 “Moon” on behance.com. To see other work by Gunel Gasanova, click HERE. I looked up at the moon, full and round and white, and thought to myself: I know why crazy people stare at the moon. Because the moon didn’t burn my skin or my eyes, not like the sun did. I thought about how I’d always loved summer. How, as a teenager, I waited for the days to unfold like a fan. How, even just one summer prior – while my friends sat in folding chairs in the shade – I’d sprawled out on the newly blacktopped driveway like a weird heat-seeking lizard. I remembered how the asphalt felt hot on against the backs of my legs, how I loved to watch my winter-white skin turn golden brown. I remembered the days when sleep came easily, how I loved to wake slowly, surrounded by the comfort of warm sheets. In an effort to mute my despair, I pressed one hand over my mouth and sobbed on my parents’ front step in the middle of the night, in so much physical and emotional pain, I was certain I’d never sleep again. Or see another summer. I actually can’t believe I survived the initial days of acute withdrawal. I really cannot. I now know many people commit suicide during withdrawal. I don’t know why I didn’t. 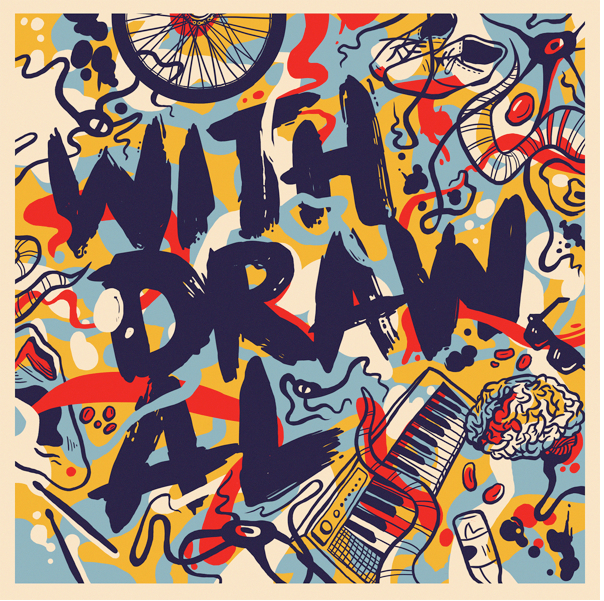 Even in the most horrifying depths of acute withdrawal, I had a feeling that everything was happening the way it was supposed to happen. That G-d was with me. That the Universe was supporting me. That my suffering would one day make sense.